For the last two years I've been hunting vintage marquee letters at every antique shop I visit. 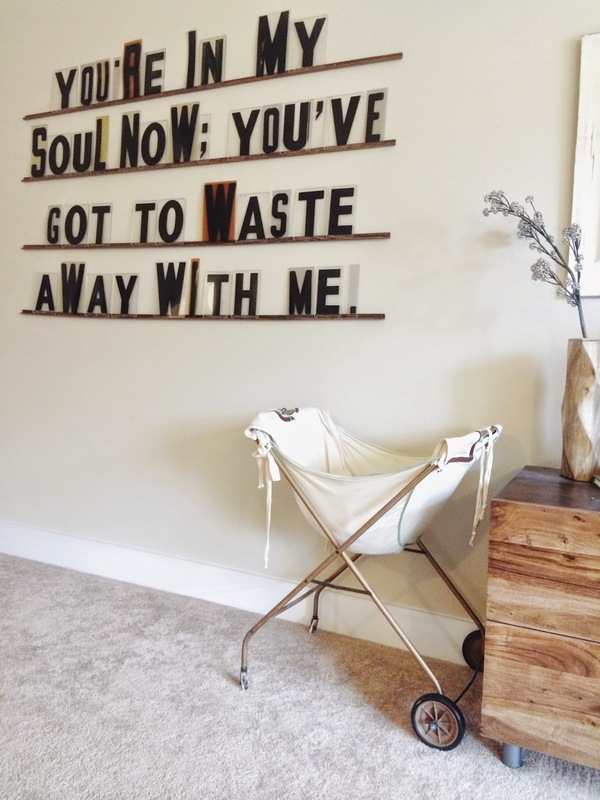 I have a thing for quotes and lyrics, and I've always wanted a piece of wall art that would allow me to swap quotes in and out as I wish. My dreams have finally come to reality! Last weekend, mom and I were doing some antique shopping in downtown Mckinney and I FINALLY found my letters! It felt like Christmas morning. I found the perfect collection of mis-matched shapes and sizes, just like I envisioned. I quickly took off to Home Depot, in search of small, thin strips of wood to line the letters on. I ended up finding the perfect solution in the crown molding/siding section. The "L" shape of the trim made the ideal shelf to hold the letters. The pieces were a bit long, so we finally had an excuse to use my new skil-saw! 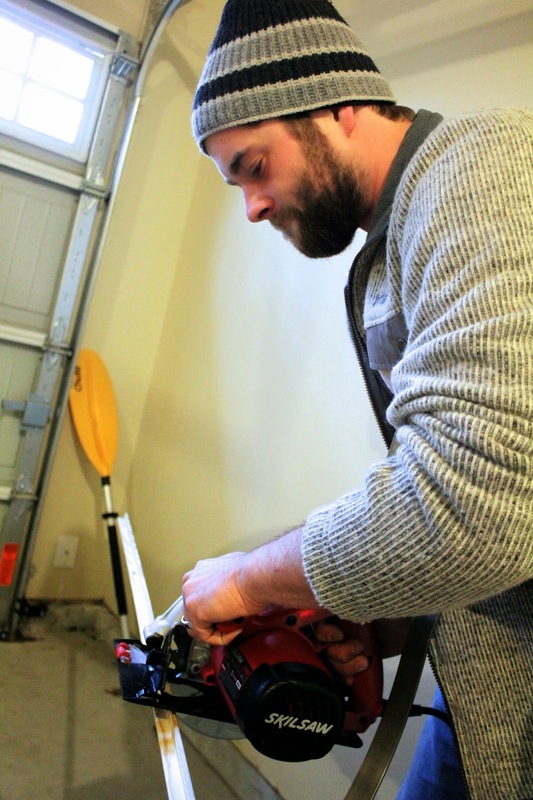 I get my first power tool and Josh wouldn't even let me play, he insisted on doing it himself. After we trimmed them, I stained the pieces a dark walnut, to match our bed and chest of drawers. I have an extraordinary fear of hanging things on walls, which is why we have excessive blank wall space like this. It was a bit of a challenge for me to choose exactly which blank space I wanted to fill, but I ended up settling on the space between our bedroom door and our chest of drawers. I do have to say that I'm pretty darn pleased with the finished product. I've got a mile long list of potential quotes and lyrics to display, and I'm hoping to change it out weekly. For the first display I chose lyrics from my favorite Head and The Heart song "Coeur D'Alene"
Follow along on instagram @em_kerrigan if you would like to keep up with the weekly quotes! I saw the head and the heart tweet this out today :) Crazy small world. I love this project and how it turned out.